EPUB3 XHTML5 is invalid in oXygen? oXygen (14) is a great tool for working with and cleaning up EPUB files. You can point it an EPUB file, and the Archive Viewer will show you the contents of that EPUB, letting you edit the files within. You can also validate the EPUB, with each error in the report linked directly to the problem location. Very handy for making those necessary tweaks or updates after creating an EPUB with some other tool. But I recently ran into a little annoyance while working with EPUB3 files. The content and navigation files in an EPUB3 use XHTML5 as the markup format. When editing these files, oXygen shows them as invalid .. it seems to not be recognizing them as XHTML5. In XHTML5, the DOCTYPE declaration is optional (yes .. that does bother me, but that’s the way it is). If the DOCTYPE declaration is included, they validate as you’d expect. I was hoping that oXygen would recognize the fact that I’m working on an EPUB3, and know that the files inside would be XHTML5. I reported this to the oXygen product support and received an quick reply that they’d look into it. A few days later I was told that a fix would be in a future version, but they also provided a workaround .. which I thought I’d share. Here’s what you’ll see if you open a DOCTYPE-less XHTML5 file in oXygen. Here’s what to do to make these files validate properly. 1) In oXygen, select Options > Preferences > Document Type Association. 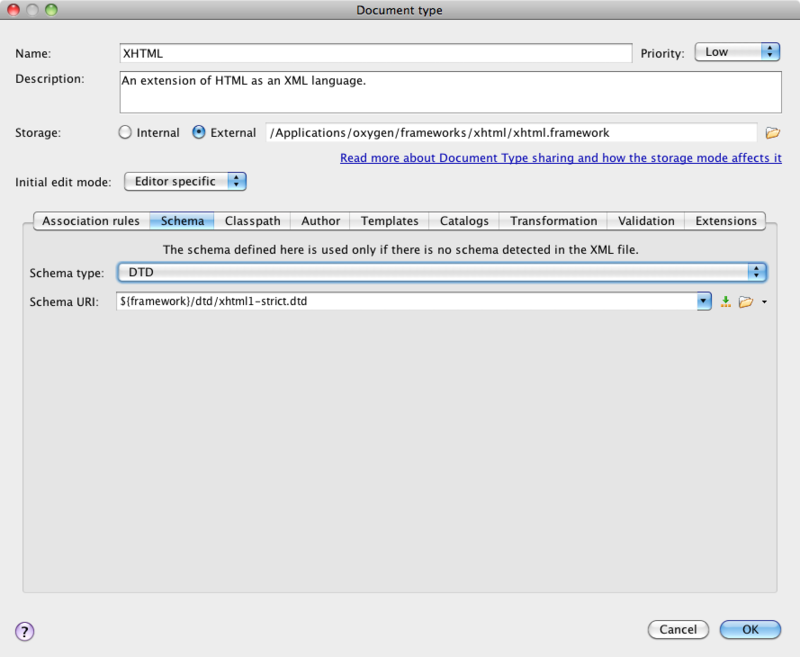 2) Select the XHTML entry in the Document Type association list, then choose Edit. 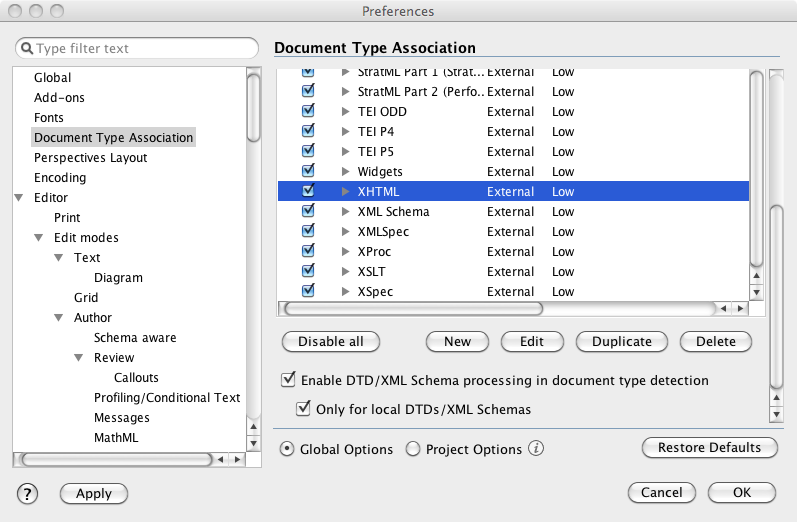 4) Choose OK in the Document Type dialog, and OK in Preferences. Close and reopen your XHTML5 file (not the whole EPUB, just the content file), and it’ll now validate as expected! This entry was posted in eBooks, EPUB and tagged EPUB3, HTML5, Oxygen on 26 September 2012 by saprentice. If you’re not satisfied with your current DITA to PDF workflow, you might consider FMx-Auto. 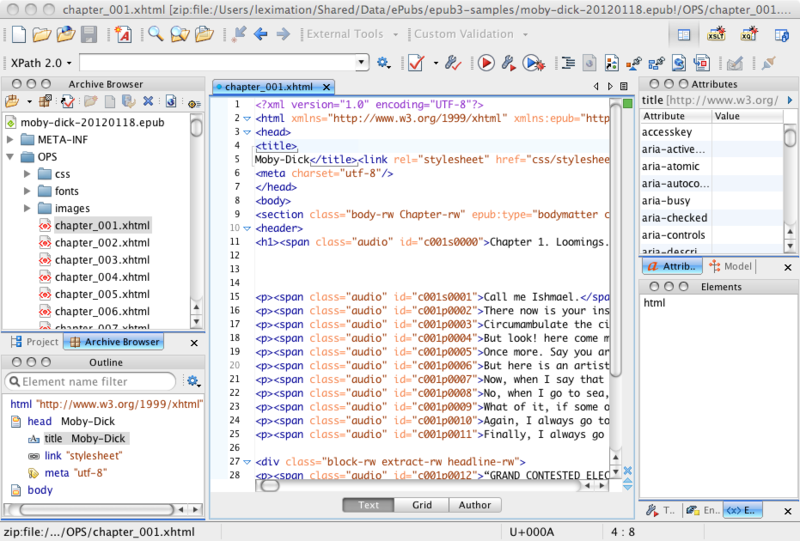 FMx-Auto enables automated (scripted) publishing of a DITA map through FrameMaker and DITA-FMx. This can be integrated into most publishing workflows on the desktop or server. If you’re interested in getting high-quality PDFs from your DITA content, like you used to get from unstructured FrameMaker, this may be the solution you’re looking for. 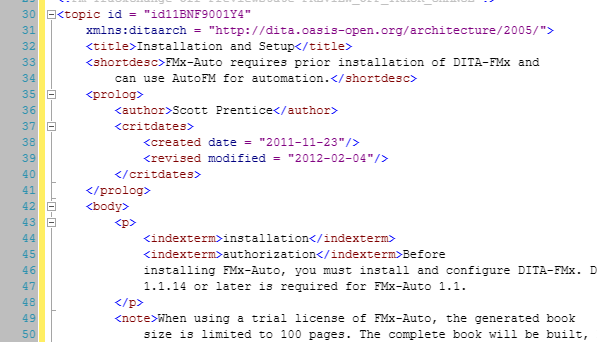 As an example of using FMx-Auto for publishing to PDF from a popular XML editor I set up an Ant script that creates the necessary AutoFM script from the current DITA map file name, then passes that to FrameMaker. 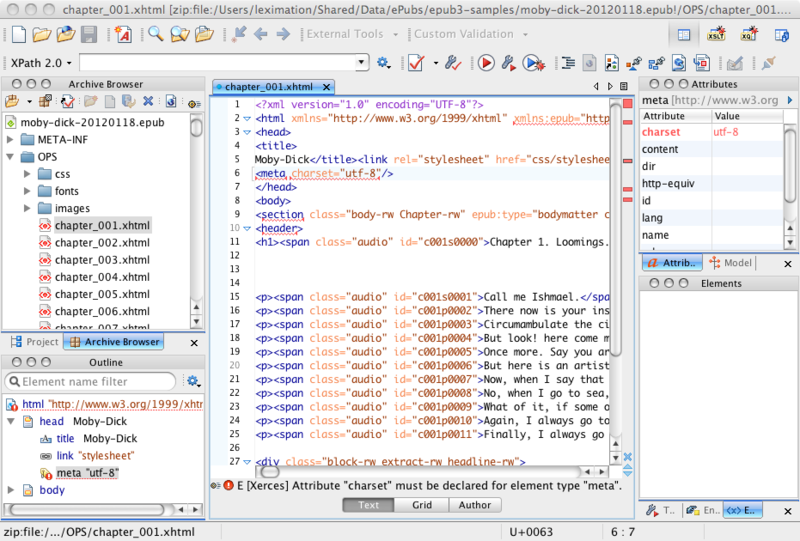 The AutoFM script instructs FrameMaker to use the DITA-FMx Map-to-Book process to create a book and chapter files from the DITA map. This book is then saved to PDF. This Ant script can be modified to suit your needs and can be used by other tools and publishing workflows as an integration option for publishing to PDF from DITA through FrameMaker. FMx-Auto supports FrameMaker versions 7.2 through 10, so even if you’re not using Frame for authoring, you can still use it for publishing. 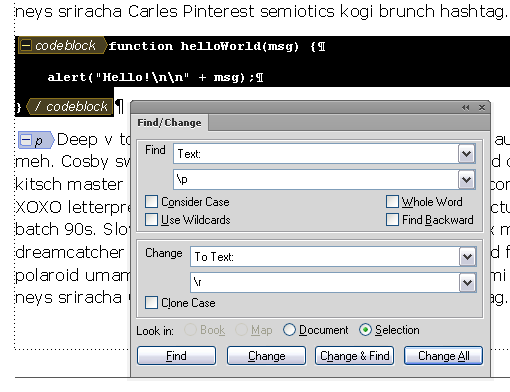 This entry was posted in DITA, DITA-FMx, FrameMaker, XML and tagged Ant, FMx-Auto, Oxygen, PDF on 10 May 2012 by saprentice.